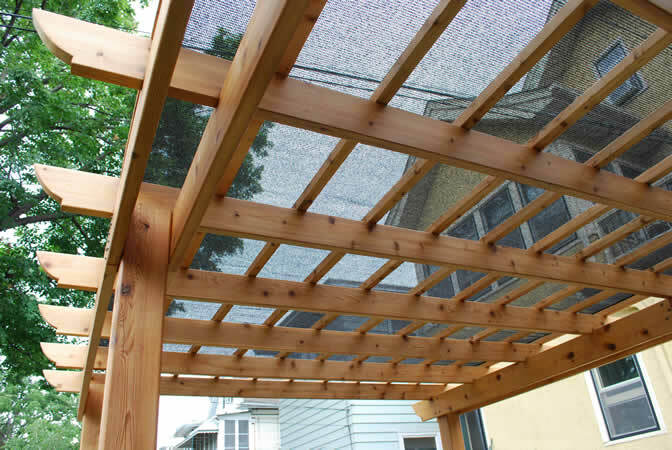 When you want to add partial shade to a section of your backyard that’s not right next to your home, a freestanding pergola could be the perfect fit for you. At U.S. Patio Systems, we offer freestanding pergolas that bring shade and architectural accents to any garden or outdoor living space. They stand completely freely, so you don’t have to attach anything to your home, making them easy to install anywhere in your outdoor living space. Our selection of freestanding pergolas, which are made by TEMO, are built to last, utilizing heavy-duty aluminum and a unique lattice structure to protect against UV rays and create a dappled shade effect. You won’t have to deal with unsightly screws on these pergolas, as they are designed with an exclusive snap-fit technology that make them easy to install. Freestanding pergolas make stunning additions to any yard space where some light shade is desired, such as over outdoor patios, gardens and eating areas. Available in two neutral colors, white or sandstone, a freestanding pergola easily fits with the garden decor of any home. Unique snap-fit construction that makes installation quick & easy. Resistant to peeling, cracking and insect infestation for the life of the product. A unique finish that eliminates annual maintenance concerns. Choice of three different column styles: Roma, Venetian and Florentine. 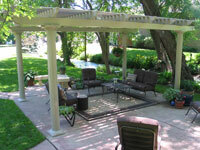 Perfect for a serene garden or a social gathering, a freestanding pergola can be used however you see fit. 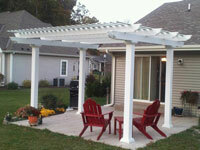 Let a freestanding pergola be the focal point of your outdoor setting. 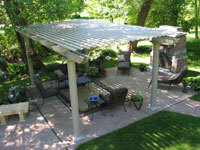 For more information and a no-obligation consultation, please contact U.S. Patio Systems today!